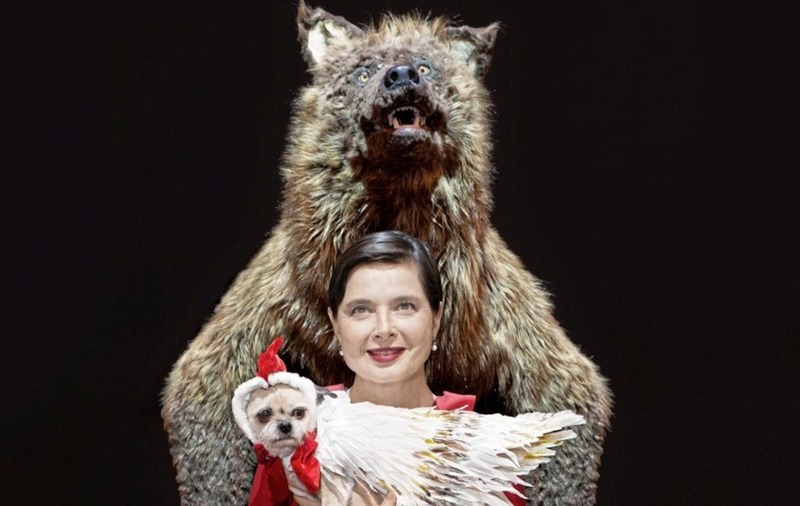 ACTRESS, model, film-maker, writer, farmer, style icon, mother and all-round entertainer, Isabella Rossellini keeps reinventing herself and now, aged 66, is bringing her new, one-woman-and-a-dog show to Belfast for its Irish premiere. The Italian Golden Globe-nominated actress is headlining next week's Belfast International Arts Festival with her show Link Link – a monologue inspired by the animal kingdom and based on scientific research with a "comic twist". Although best known as the Face of Lancome and for roles in films including Blue Velvet, Death Becomes Her and Fearless, the actress who was born into cinema royalty – she is the daughter of former Hollywood siren Ingrid Bergman and Italian director Roberto Rossellini – has dispensed with the advice and carved out a new niche working with animals. She has also just written a book about chickens – My Chickens and I – based on "amusing observations" at her farm in Bellport, New York, but the casual humour is entwined with a high degree of expertise, having gone "back to school" to take a master's degree in animal behaviour and conservation. "When I started to work less as an actress and a model – due to age – I went back to university to study and then started to make comical films about animals," she explains. "They were just two-minute videos, but they became very successful on an American TV channel and led to my first monologue which I took on the road last year to England, America and Australia." But, whether it's work in the theatre or her writing, Rossellini's one aim is simple: to make people laugh and experience the same "sense of wonderment" at the antics of animals that she has discovered herself. Of her chickens – of which she now has 120 – she says they have all different personalities and are not "as stupid as their reputation", but it is her dog, Pan, who will probably steal the show at Belfast's Grand Opera House at the end of the month. The actress has written Link Link, her second monologue, around a question she says has bothered her since childhood: are animals able feel and think like us? "Generally speaking, people believe that animals act on instinct, that they don't have a free will and cannot reason or make conscious decisions, but this has been proven to be incorrect again and again," she stresses down the line from Barcelona just before the show is due to open there. 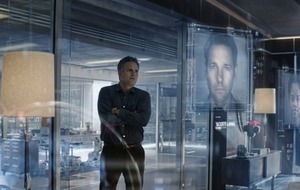 The clue is in the title as the ageless Rossellini, named in the 90s by People magazine as one of the 50 Most Beautiful People in the world, believes humans are "undoubtedly linked" to animals – and she sets about proving it with the help of four-legged co-star, Pan. A rescue dog, she was found in North Carolina last year specifically to perform in the off-beat show which has earned rave reviews since opening in New York in May. 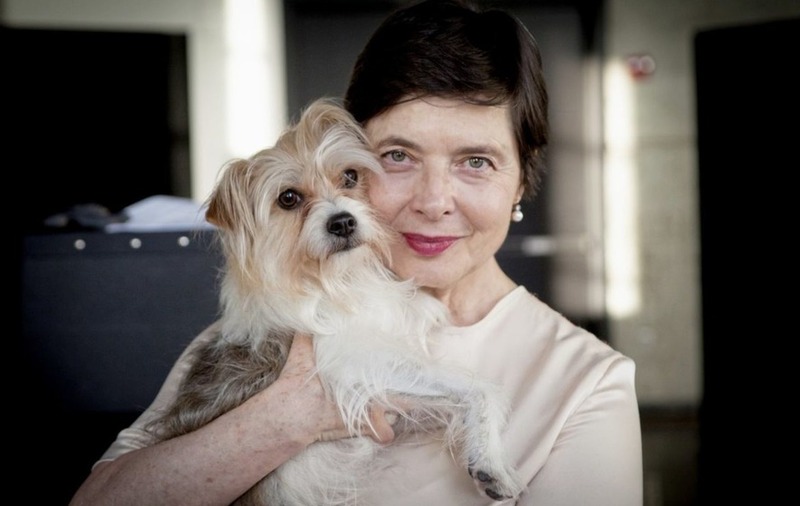 "I tried to work with the dog I already had, but he was too friendly and when I took him to the theatre, he would go off into the audience and say 'hello' to everybody," Rossellini laments with good humour. "So, I contacted an animal trainer who prepares animals for theatre shows like Annie and The Wizard of Oz, and told him I would like a small dog with floppy ears and patches. "There had to be these characteristics of domestication and [the dog] also needed to be small enough to travel enough with me on the plane – the show is booked for 20 different cities in two continents, now three continents as we have just added Australia. "The other requirement, or course, was that it would have to be liking performing very much and be very, very focused – otherwise, if anyone in the theatre would go, 'Oh, what a nice dog,' it would probably just run off!" So far, that hasn't happened and Pan, "a mutt, probably a terrier of sorts" has proved exceptionally adept at staying focused on her though-provoking, theatrical debut. "There's just me and Pan and a puppeteer, Schuyler Beeman, who helps me control the dog," Rossellini reveals in the famous lyrical tones which still bear shades of her native Italian. "We opened in New York and then I had the summer off to be at the farm and when we came here [Barcelona], I was stunned that the dog had remembered everything. It's amazing, really – she 's very good on stage, not a diva at all." Quite what Northern Ireland audiences will make of the routine in which Rossellini transforms herself into figures such as Charles Darwin and French philosopher René Descartes – who argued that animals don't have a soul, don't have a mind and are akin to a machine – remains to be seen, but despite the lightness of touch, she says there is real science at the heart of Link Link. "In my book about chickens, I simplified the science, but it is always correct what I say," she says. "Knowledge, wonder and humour are at the core of this show – if I invented stories about animals, they would just be fables and I would just be an old lady going crazy." Even in her 60s, Rossellini as an "old lady" seems an inconceivable prospect, yet she was famously dropped by skincare giant Lancome more than 20 years ago for being "too old" at 43. Looking back on that time, she remains diplomatically philosophical and is happy that executives at the cosmetics company – eventually – saw the error of their ways and invited her back. "I don't see myself as a role model at all, but I am delighted that the people at Lancome had a change of mind," she says. "It was not only good news for me, but fantastic news for women in general." Age, is taking its toll, however, in other ways and she finds the constant travelling "disruptive" to the creative process. "I miss my family and I can't write when I'm always packing, unpacking, packing...." she continues. "I continue to act, but if I can evolve my career further – you also need some luck – I would like to stop performing and just write and direct. "It is really enjoyable to visit new countries and I am looking forward to going to Belfast because I have never been there before, but the travel is very tiring for someone my age – 13 cities in five weeks is a lot of travel and I do think I'm getting a little old for it now. "I'm booked to Link Link until next April and when I finish the tour I will go home to my farm and to my chickens and think of my next plan. I'm very lucky; I have an interesting life." :: Link Link is at the Grand Opera House, Belfast, on Wednesday October 31. BELFAST International Arts Festival welcomes an eclectic fusion of cutting edge performances from October 16-November 3, with over 120 events and 12 premieres squeezed into the programme. Highlights include multi-Grammy award winner Angélique Kidjo's Remain in Light tour at the Grand Opera House, which is also the venue for a concert by leading US bluesman Eric Bibb and his band. Pulitzer prize winner Paul Muldoon is set to present his new translation of love poem, The Lament for Art O'Leary, at The MAC – with musical arrangement by Horslips – while 'Climate Justice' is the title of a talk to be given by former Irish president Mary Robinson at Ulster University on October 22. And, adding his unique touch to events is artist Neil Shawcross, whose new exhibition at Titanic Belfast is dedicated to Belfast's authors, playwrights and musicians. Also, on the subject of poetry, Michael Longley and Paul Muldoon give a 'birthday reading' to one of their own, John Hewitt, at at – where else? – The John Hewitt Bar.